Over the past 10+ years, I’ve attended many events, hosted hundreds of live events of all shapes and sizes, and been paid to speak or perform at many more. So I think it’s safe to say I’ve learned a thing or two about what makes for an event worth attending. In this episode, I’m sharing a simple “equation” I developed to help you make an informed decision about which events are worth the investment, and which ones you can safely skip (for now), saving you precious time, energy, and money. If you’re curious about Creative Freedom Live, come check us out! Only 5 spots remain, and if it’s a good fit for you, I’d love to see you there! What are your event goals? What events are you attending in the next year? Share your thoughts and ideas in the comments. Your insights may spark a conversation that helps someone else! 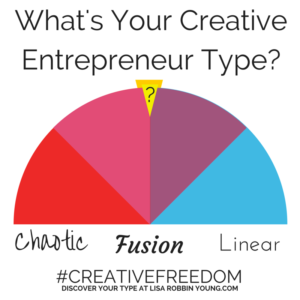 Creative Freedom Live – 5 spots left! If you haven’t already downloaded this week’s bonus content, you’ll want to do that here. Not a member yet? It’s free! When you register for email updates, you also get access to episode transcripts, worksheets, and other downloadables! Fashion jewelry from Kerianne at FancyBargain.com. 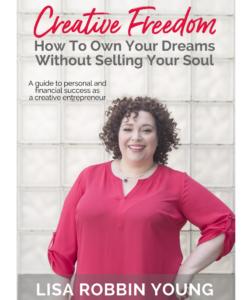 Tell her you saw her bling on Creative Freedom!